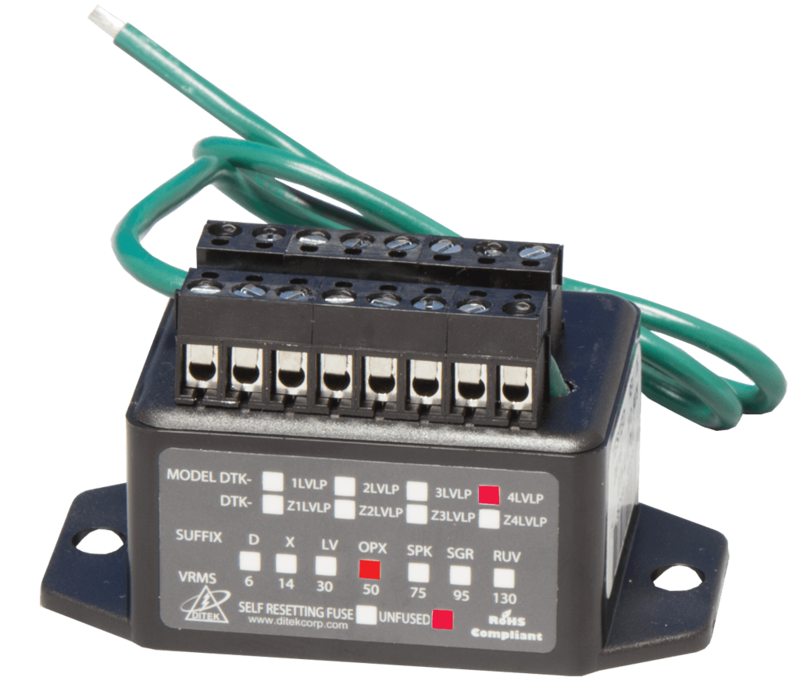 DITEK's LVLP surge protectors are used in multiple low voltage security applications. 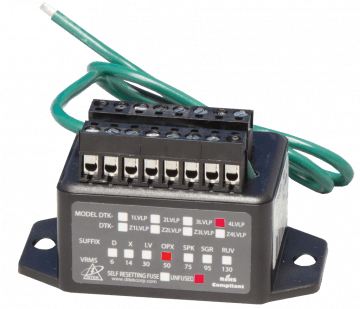 The DTK-4LVLPOPX protects four 48V hardwired pairs. Suiable for both AC and DC circuits.